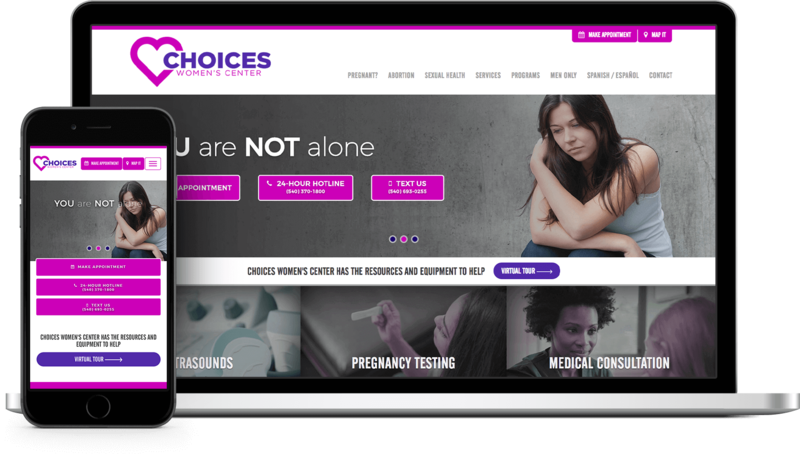 Always excited to work with organizations making differences in our communities, Creative2 partnered with Choices Women's Center to develop a modern website that concisely highlights services and prominently displays options for clients to quickly make contact in times of need. 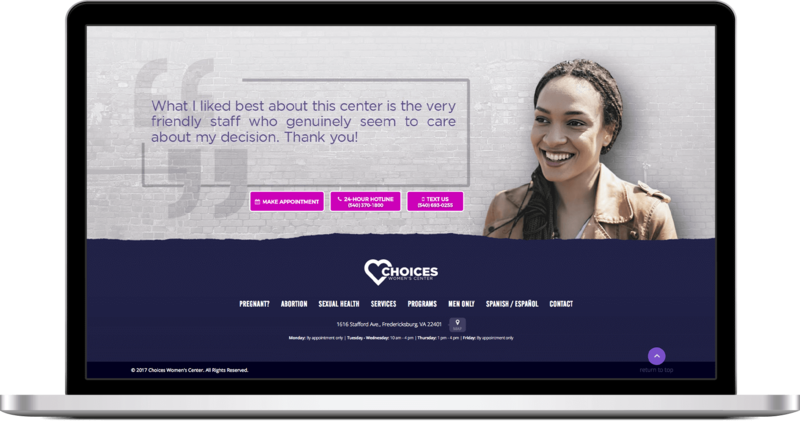 The new site significantly reduces content and organizes information in an easy to navigate, visual grid. 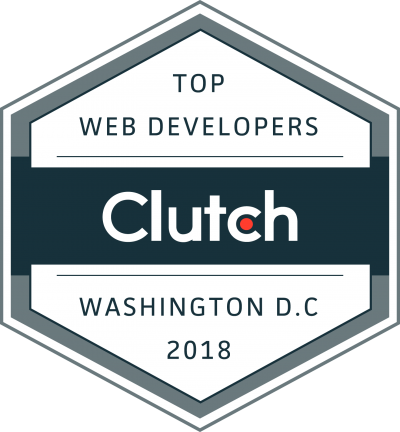 The site is fully responsive to mobile, tablet, and desktop devices. 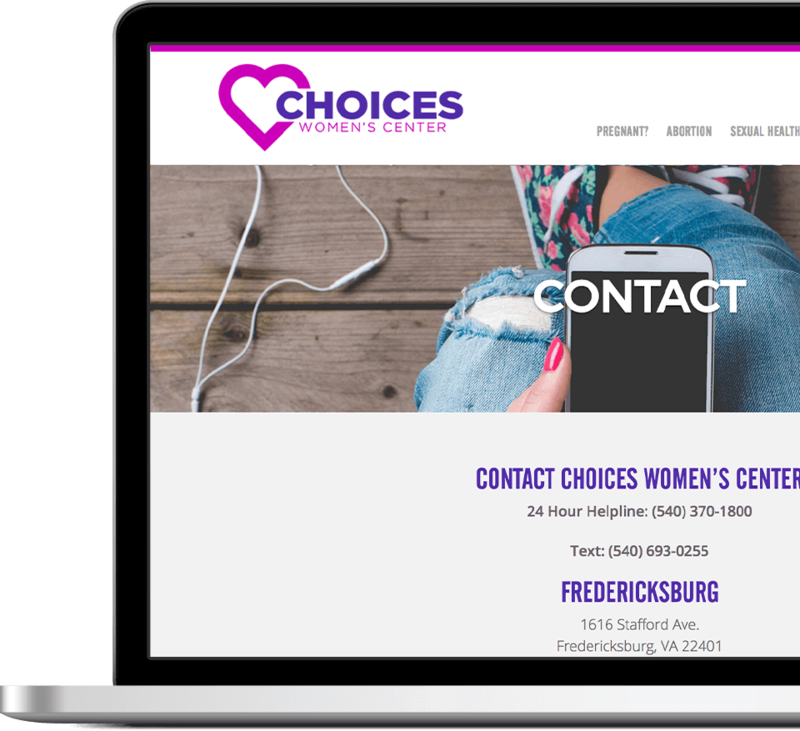 Formerly known as "Fredericksburg Pregnancy Center," Creative2 led design efforts for a rebrand and logo redesign. The new look takes a clean and modern approach, with simple typography and vibrant colors.